According to Indian numerology, the name numbers are the most vital aspects of relationship with people. The sound of your name leads to specific expectations and patterns. In close relationships, first name has most importance. For official papers, full name has a lot of sense. 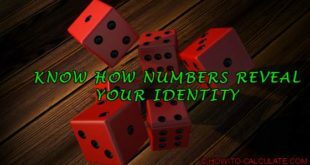 For better combination of destiny and personality numbers, numerology name change or nickname change is often recommended to match with your lucky numbers. Name Numerology combines esoteric and occult relationships between living beings or physical objects and numbers. 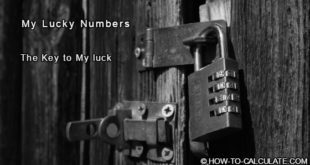 What Are Name Numerology Numbers? Our Solar System has only 9 planets. Hence, all the material calculations should be made on nine numbers only. Name Numerology is actually based on numbers which have their own symbolic importance. Each number in numerology has its own vibrancy influence and vibes. Every person comes into this world with a specific name and on a specific date. Hence, numbers are used to describe the personality of a person and what the purpose of their life is. Every letter from A to Z has a vibrancy and definite number. Each letter is related and recognized with a specific number which is final and fixed. Read Traits Relation and Impact of Numerology Numbers in Daily Life. How to Calculate Lucky Name Numbers? 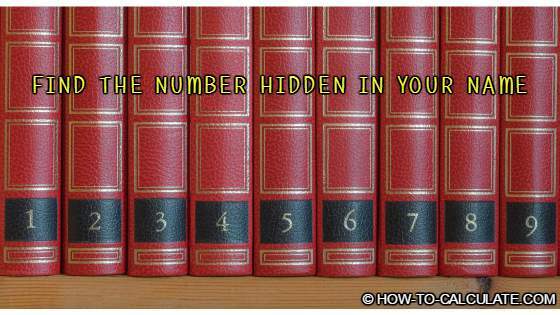 Your name number in numerology influences aspects of your personal and professional growth. This method is known as Pythagoras Numerology. Once you reach I, then you have to start again with 1 to continue until all alphabets are finished. To find out actual name number, use your full name. Also include middle name, if you have one. Match each letter to its number. Now you have to add all the numbers together. If it has 20 letters, add all 20 individual numbers together. You may get sum total of two digits. Now reduce the sum of name’s numbers until you get one digit. For example, if sum is 36, split 3 and 6, and add 3+6 and the result is 9, which is your name number. To calculate your name number, you can simply calculate yourself or use name calculator available on internet. Lets find my name number. My name is Rahul Verma, each alphabets of my name has some numbers lets find that first. i.e 4+7=11 > 1+1=2Now add the two digit number to reduce it to single digit numver. With the help of name numerology, you can gain better insights to your destiny and unlock the hidden secrets of your career, psyche, relationships, family etc. Along with the essence of an individual, a name holds the vibration we give to others. Name numerology has much importance in our daily lives. It defines our destiny, career, life decisions in future and so on. In short, name numerology can change your life by leading you to success in education, health, career, marriage, business etc. 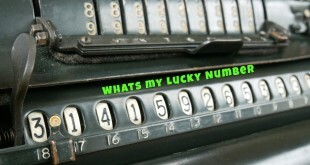 How to Calculate Lucky Number Using Numerology?